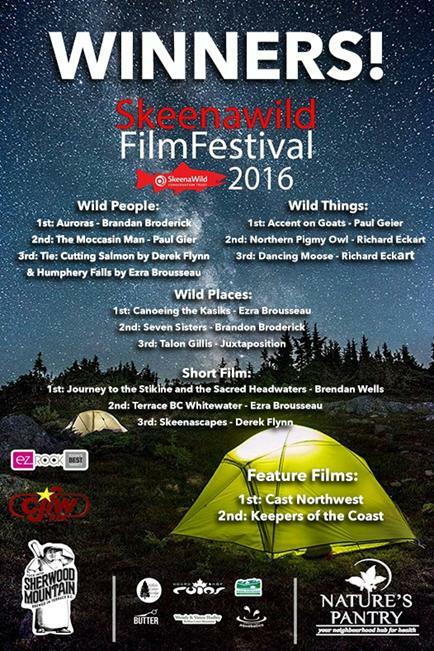 The votes have been counted and it's time to announce the winners of the 2016 SkeenaWild Film and Photo Festival! Plus, fundraising for a legal fund to protect Lelu Island is gearing up and we need your help! Thanks to everyone who made the 2016 SkeenaWild Film & Photo Festival the best ever! 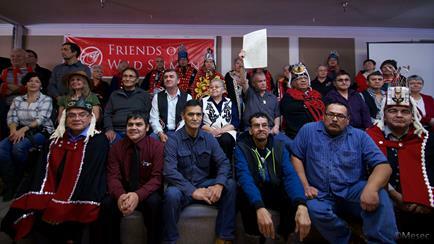 We saw photos and films from all over B.C. 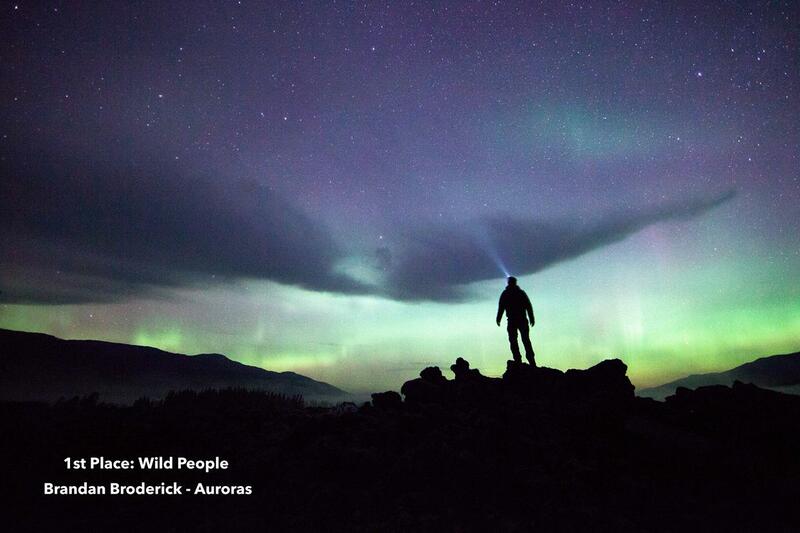 and beyond celebrating the great wilderness we call home. There has never been a greater threat to Skeena salmon than the Pacific Northwest LNG project proposed for Lelu Island. Millions of juvenile salmon use the Skeena Estuary as a stopover on their way to the Pacific Ocean, articulated in a new study by SFU professor Dr. Jonathan Moore. 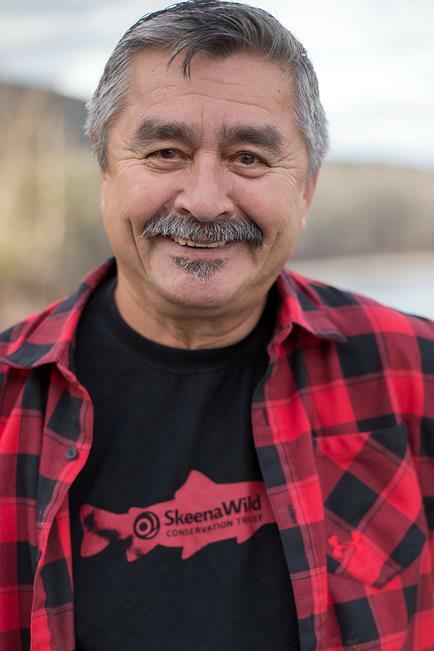 In October SkeenaWild, the Gitanyow First Nation and the Gitwilgoots Tribe all launched judicial reviews of the Liberals' approval of the project. But legal challenges are expensive and we can't do it alone, we need your help! 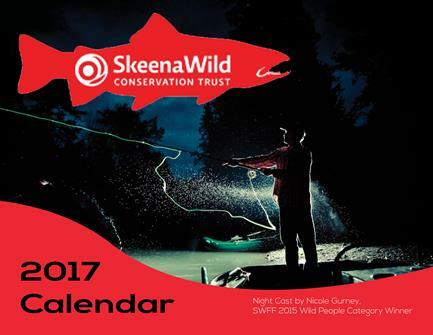 The funds raised will support the legal challenges to secure a healthy future of the Skeena Estuary and wild salmon. Celebrate the holidays with a gifts from SkeenaWild! "The Mighty Skeena River The Skeena river is the lifeblood of mother earth and the great provider for the Gitxsan, Wet’suwet’en, and, Tsimshian nations. What I love about this river is the history and the power to sustain us." - RHV.